Optix Denoiser with Cycles... soon. Benedikt Bitterli, Srinath Ravichandran, Thomas Müller, Magnus Wrenninge, Jan Novák, Steve Marschner, Wojciech Jarosz. A radiative transfer framework for non-exponential media. ACM Transactions on Graphics (Proceedings of SIGGRAPH Asia), 37(6):225:1–225:17, November 2018. Even in photography, such a clear image of rain falling from the cloud with its backgrounds is quite hard and expensive to make. I tried this in old Lux years ago: heterogeneous hybrid CPU/GPU rendering has too much problems. Note the heterogeneous, it means you are assigning to CPU and GPU different type tasks and you get the end result when all is done. This is different from our current homogeneous hybrid rendering where we assign to CPU and GPU the same type of task. Short version: you have an infinitely fast GPU (it does everything in 0 secs) and a normal CPU. We have 2 task types A and B. Heterogeneous hybrid rendering will assign A tasks to the GPU and B tasks to the CPU. The time to do everything will be cpu time for B ... even with an infinitely fast GPU. Homogeneous hybrid rendering will render everything in 0 secs thanks to the infinitely fast GPU. interesting. So they have the same problem with photon mapping as other renderers (splotches, too many settings and gpu memory, but working caustics). Standard photon mapping is a robust and well known method but has been largely superseded by far better methods (progressive photon mapping -> stochastic progressive photon mapping) because it cannot handle distributed ray tracing effects like motion blur, depth-of-field or anti-aliasing. If you then couple bidirectional path-tracing with photon mapping for what both are best then you end up with vertex connection merging (vcm). 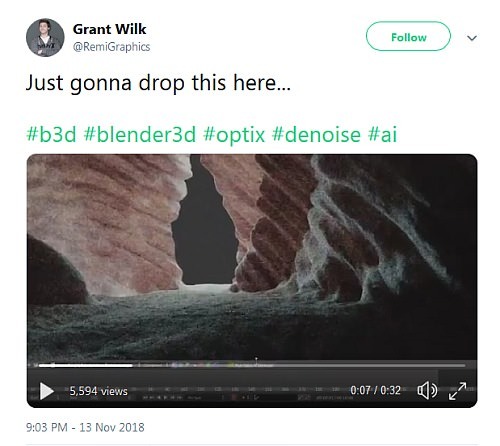 RenderMan has it for instance.